EDM-heads, rejoice. The world’s #1 DJ is coming to our shores. Get your tickets here. Limited early bird tickets (starting Rs 499) out now. 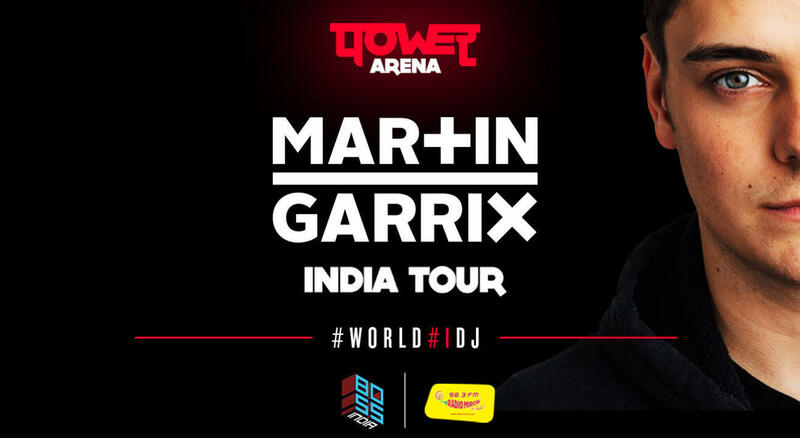 The two-time MTV EMA winner and world's #1 DJ, Martin Garrix is coming to India with this पOWEर ARENA Tour on Dec 1 & 2, 2018, brought to you by Radio Mirchi - India’s #1 Radio Station in partnership with BOSS India LLP. Get your tickets to the shows, below. A household name and one of modern music's biggest artists, Martin Garrix's phenomenal journey started just a few years back. Now just 22, he has already become one of electronic dance music’s youngest superstars, amassing a chart-topping, high-streaming musical legacy along the way. He topped DJ Mag's Top 100 DJs list for three consecutive years (2016, 2017 and 2018), the first of which was awarded to him at the age of 20, making him its youngest ever recipient. He has performed at all leading festivals around the world, including Coachella, Electric Daisy Carnival, Ultra Music Festival, Tomorrowland and Creamfields. He headlined the closing ceremony of the Pyeongchang 2018 Winter Olympic Games at the Pyeongchang Olympic Stadium in South Korea. He is the founder of label Stmpd Rcrds in 2016. He's dropping new tracks - and you can look forward to several of these being played at the shows.